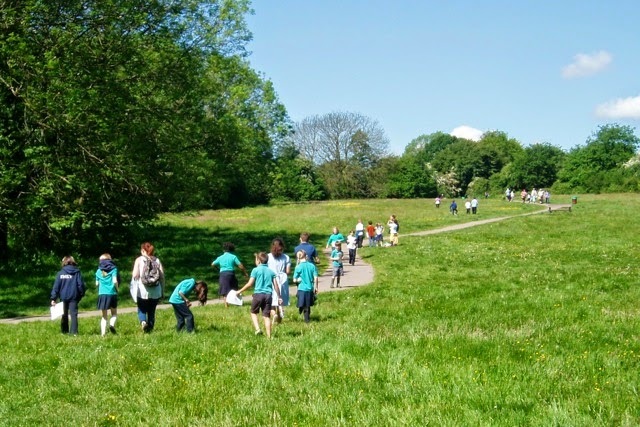 Want to know more about the Trail? Want do download the booklet? Go to the bottom of the page! 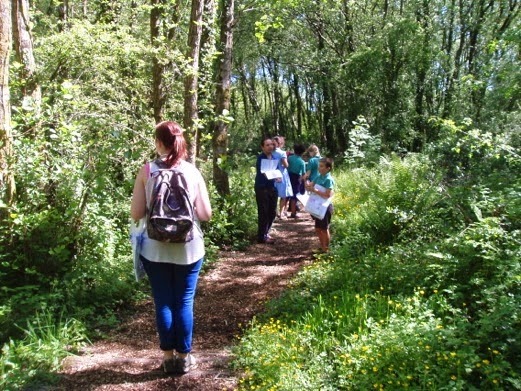 The Wildlife Explorer Trail was launched by Councillor Kate Lloyd and pupils representing the committees of the Eco-groups from Coed Glas, Lakeside and Rhydypennau Junior Schools. 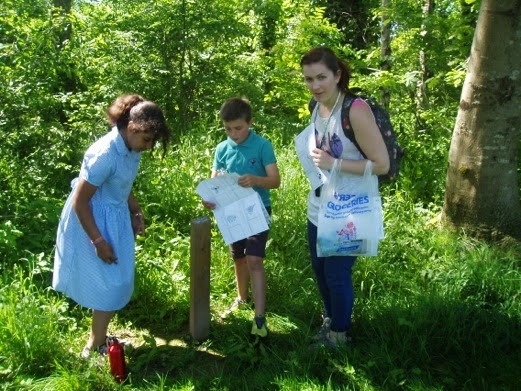 The pupils soon got the hang of the maps and using the crayons to make rubbings of the plaques on the posts. 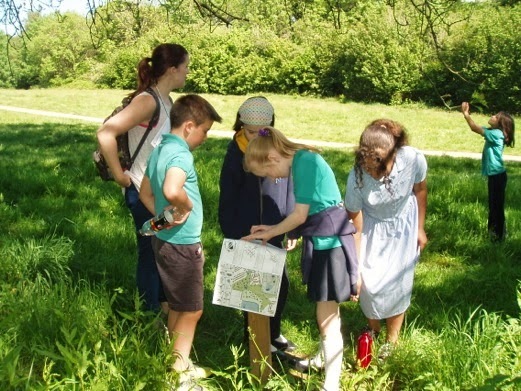 Explorer Trail booklets have been produced by Natasha Lade and Claire Morgan, of Cardiff City Council, in conjunction with the Friends. These can be down loaded from here (Link 4) or from Outdoor Cardiff. Cardiff City Council and Natural Resources Wales have funded this venture and 600 booklets have already been printed. A number of these have been distributed to the schools in the area. 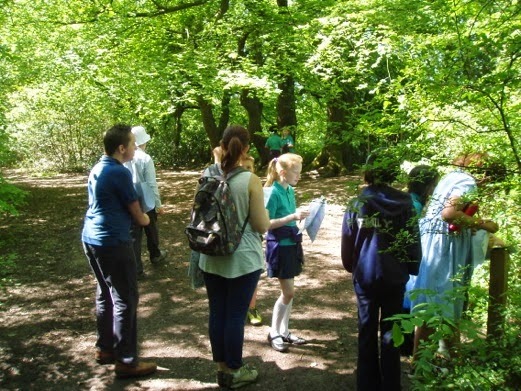 This activity has been designed for primary school-aged children and consists of a series of posts will have raised plaques for "rubbings" on them, showing the trees and wildlife to be searched for in the woods. 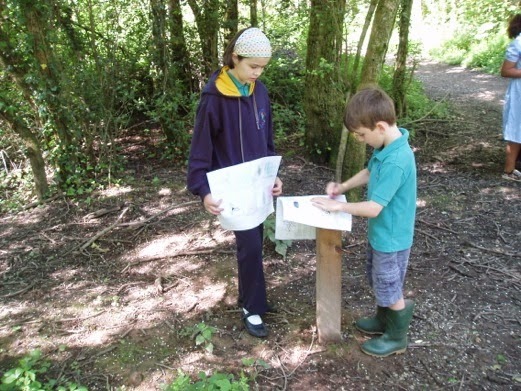 A map is provided to help the children find the posts. As well as spaces to do the rubbings (using a pencil or crayon), there are descriptions in the booklet about the animals and plants shown. The Explorer Trail posts were finally installed during two work days (and with an extra session by Kevin, our Ranger! ).